Justice A.K.Ganguly, who is allegedly involved in the “law intern sexual harassment case” expressed his willingness to resign from the post of WBHRC chairman. In a letter to former Attorney General Soli Sorabji he wrote he is seriously contemplating resignation, reports Times of India . He said he is under tremendous pressure from all quarters and his family too is bearing the brunt after the law intern leveled sexual harassment charges against him. Soli Sorabjee is reported to have told Justice Ganguly that he agreed with his decision to quit the human rights body. Recently he had resigned from the post of honorary professor of the National University of Juridical Sciences (NUJS). With the Union Cabinet sanctioning a proposal for sending a Presidential reference to the Supreme Court for an investigation into the allegation of sexual misconduct against a law intern who was the student of the NUJS, the process started for the removal of Justice Ganguly as WBHRC chairman. This step of the Union Cabinet came as a big blow to Ganguly, who is currently chairman of the West Bengal Human Rights Commission. The proposal was sent to President Pranab Mukherjee who will then send the matter to the Chief Justice of India seeking an investigation into the issue based on the three points raised in the reference. 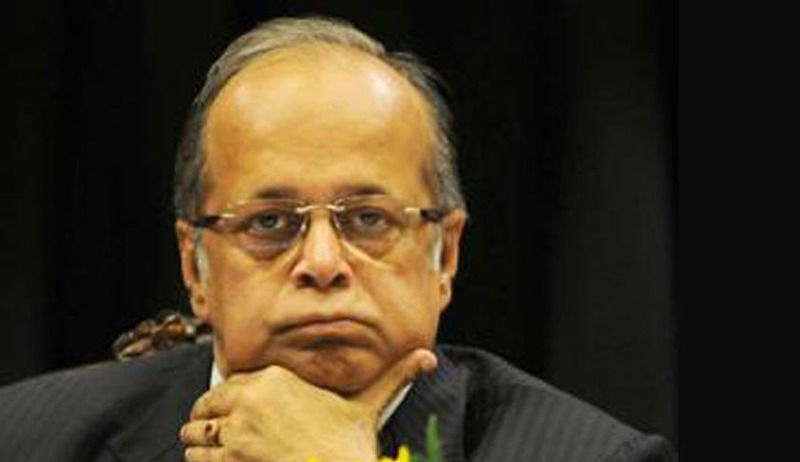 Justice Ganguly was earlier accused of committing an “act of unwelcome behavior” and “conduct of sexual nature” towards the woman law intern, by a three-judge Supreme Court constituted by the Chief Justice of India, following which the entire nation demanded for Justice Ganguly’s resignation as head of the rights panel which also included West Bengal Chief Minister Mamata Banerjee and other leaders of the ruling Trinamool Congress. But the retired judge had constantly denied stepping down from his position as the Chairman. In a letter to Chief Justice of India P. Sathasivam, he alleged that because of the judgments he had given against powerful people, there was a palpable design to badmouth him. However, Soli Sorabji and former Lok Sabha speaker Somnath Chatterjee has stood by the former judge.